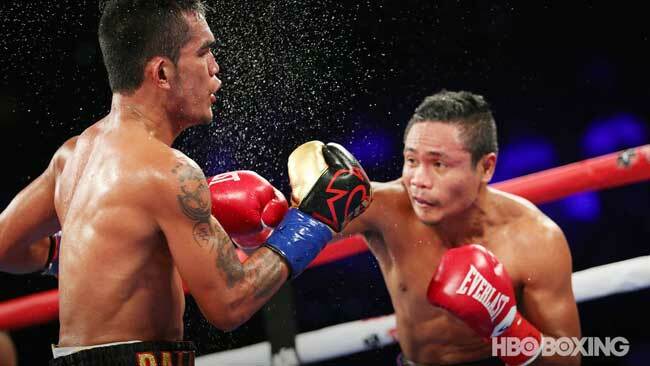 MANILA — The year 2018 ended on a big bang for Philippine sports as local icon Donnie Nietes became a world champion anew. Banking on a 14-year winning streak, Nietes defeated Kazuto Ioka for the vacant World Boxing Organization super flyweight title at the Wynn Palace in Macau right on the final night of the year. Nietes got the belt on his second try as he bounced back from his failure to capture the championship against Aston Palicte, in an all-Filipino bout at the Great Western Forum in Inglewood, California on Sept. 9 that ended in a split draw. Similar to how the judges scored the Nietes-Palicte bout, the Nietes-Ioka match ended in a split decision, with Nietes’ experience getting two of the referees’ nod this time. In a back-and-forth action that saw both pugs having their own share of good rounds, Nietes emerged victorious after getting the nod of two of the three judges. The two judges who saw Nietes winning gave out 118-110 and 116-112 scorecards respectively, while the other judge had it 116-112 for Ioka. Nietes became the third Filipino four-division world champion, joining an elite club that only had Manny Pacquiao and Nonito Donaire as members prior to Monday night. Nietes remains unbeaten as well in his last 35 fights dating back to 2004.